Bringing organic to professional growers. When your livelihood depends on growing big, the only solution is to go big. 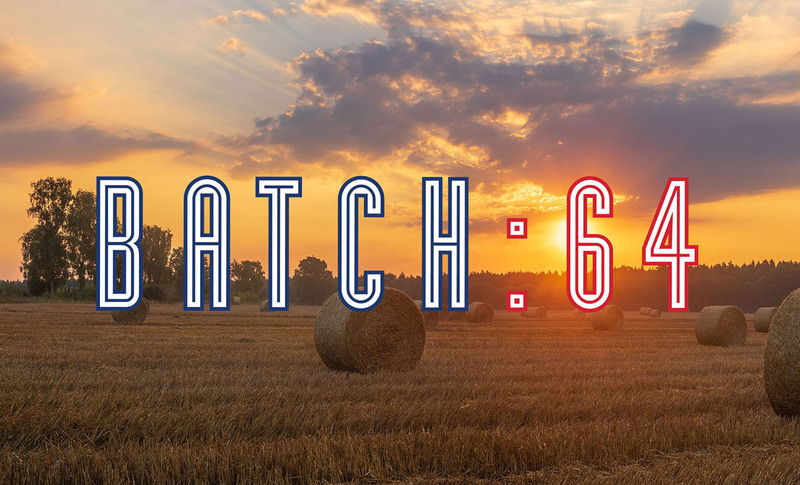 That’s the philosophy behind Batch:64, an innovative brand of premium growing medium from Waste Farmers, perfectly suited for the needs of professional growers. Made from organic ingredients, several formulations ensure that there is a Batch:64 medium to match each grower’s unique style. From the beginning, Domoto Brands has been involved in shaping the Batch:64 brand in order to create big-time results. 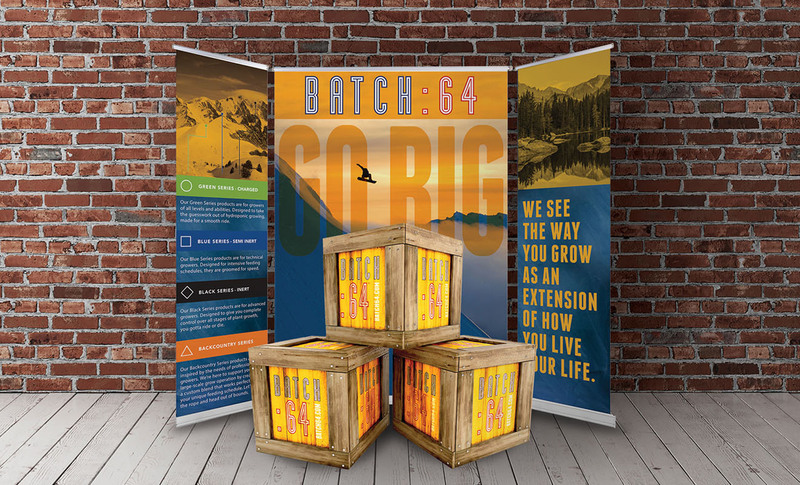 When Waste Farmers launched Batch:64, the company wanted to create brand that could grow and evolve, eventually becoming recognized as a leader in a dynamic, emerging marketplace. 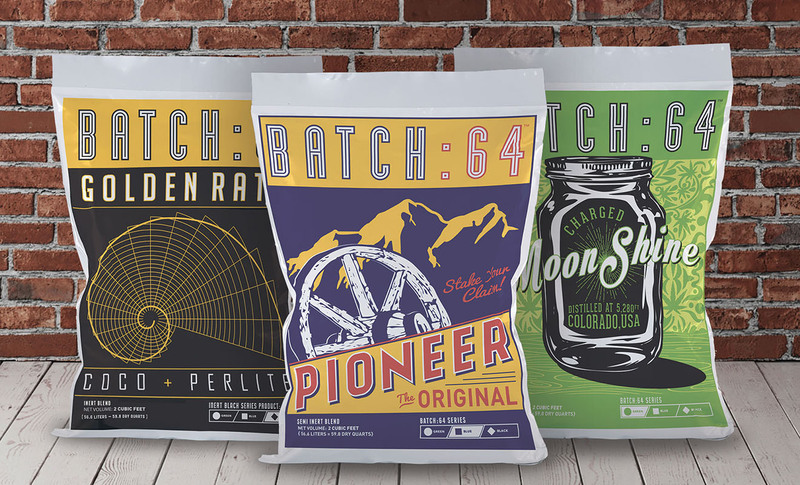 Domoto Brands designed the brand identity with inspiration from the Colorado color palette as well as the amendment that has forever changed the state’s professional growing landscape—signaling that Batch:64 is a grower-specific product. 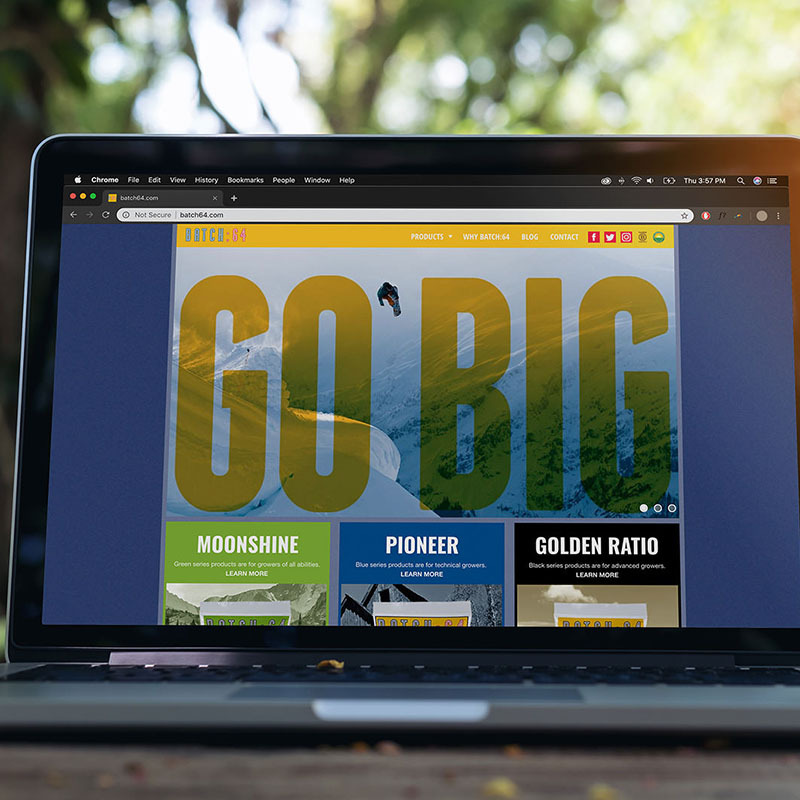 Domoto Brands rolled out the brand with a first generation Colorado-inspired packaging concept, later building on that success when additional products were added to the line, for national scalability. 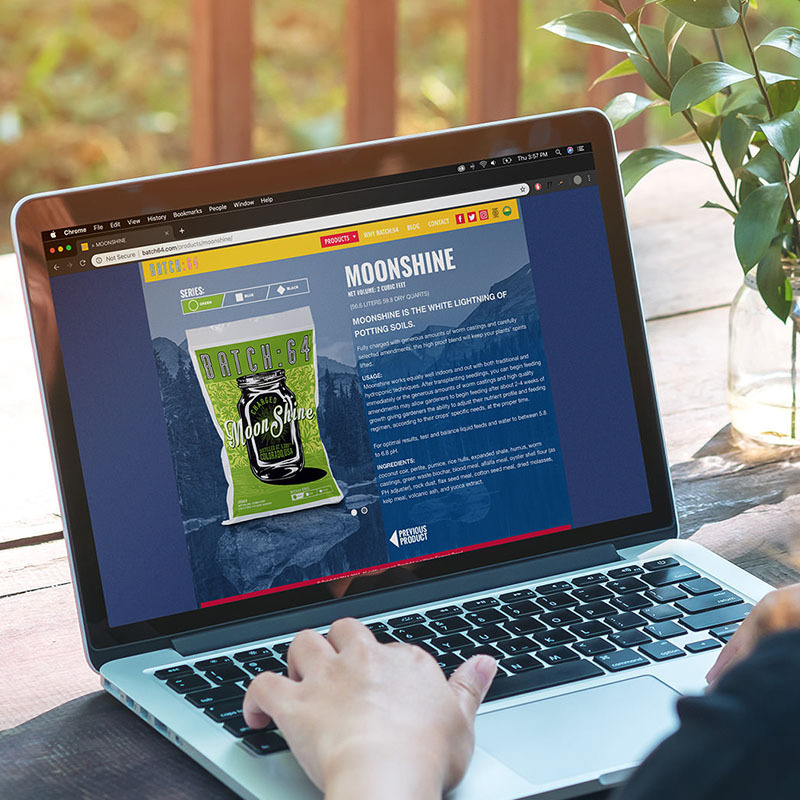 Domoto Brands designed the Batch:64 website to educate users about the benefits of key organic ingredients in the medium with product pages featuring usage instructions and video to foster efficient conversion. Finally, Domoto Brands helped to create the building blocks of the Batch:64 community, including catalogs, materials, and the brand tradeshow booth.